What’s Kona coffee? There’s a good chance that you’ve drunk Kona coffee before and you just haven’t realized it. If you know anyone that would bring back coffee as a gift after their trip to Hawaii, they’d be remiss to not bring a bag of the best Kona coffee to share with their friends. Kona coffee is what we call coffee that’s been gathered in the North and South Kona districts of the Big Island in Hawaii. Hualalai, an active volcano, is in the North Kona district of the island and this is where the coffee is harvested from. Likewise, coffee beans can be cultivated in the South Kona district, on the active volcano Mauna Loa. We’ve rounded up all of the questions you might have about Kona coffee, as you should know why this bean is so different from the beans that you’re used to in your daily brew. You’ll want to keep an eye out for a bag on your next vacation to Hawaii. The first thing that makes the best Kona coffee different from its competitors is that its grown differently than the Latin American or African beans that you’re used to. 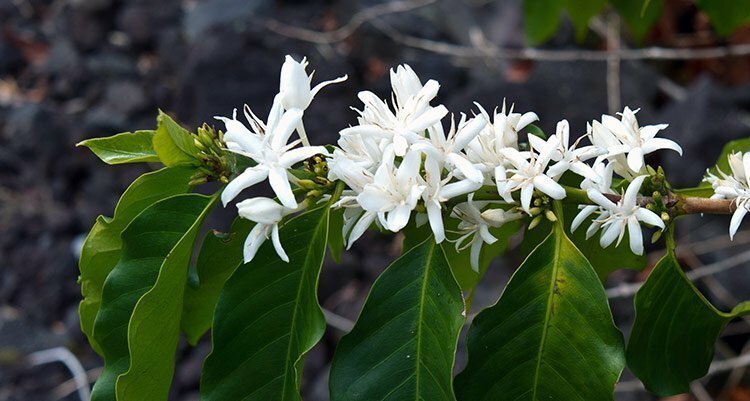 For starters, the coffee beans only bloom from February-March each year. From there, Kona Snow, or white flowers cover the tree. By April, there are green berries on the tree, and then by August, the precious ‘cherry’ is ready. The cherry is the ripened Kona beans, and farmers will be able to extract at least fifteen pounds of cherries from a single Kona tree. If you’re dying to try some Kona coffee after hearing about its unique harvesting process, then you’re going to want to head to a gourmet roster or a reputable online seller. Kona coffee is very rare and expensive so it’s unlikely that you’ll see it next to common grocery store brands. We’ve listed our favorite Kona coffee brands for you below. The Peaberry Kona coffee comes in at second most expensive on the list, it retails for around $72. 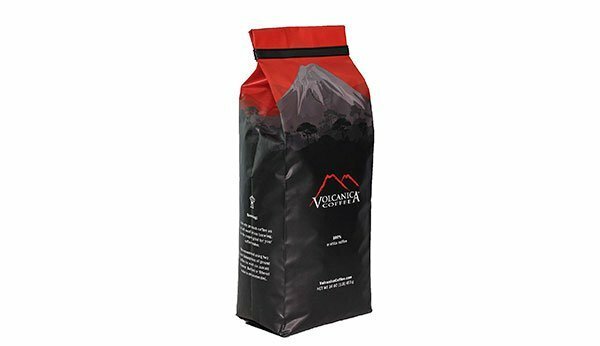 One reason why you might like to try this over the Volcanica blend is that its made from some of the Type Two beans that we mentioned earlier. How does this affect the taste? Well, it creates a light, sweet, flavor that lacks bitterness. This is definitely a treat for the coffee drinker that doesn’t move towards dark roasts because this is a light to medium blend. 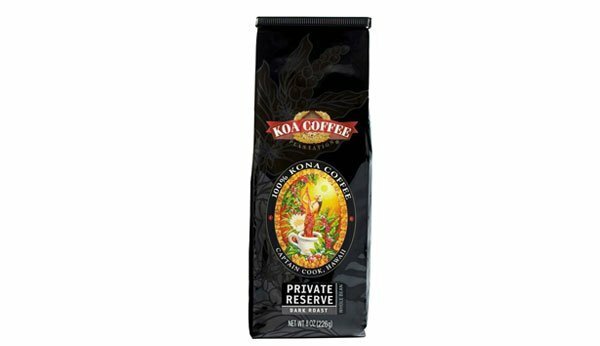 This is the most expensive coffee on our list, but what you would expect when you’re looking for 100% authentic Kona coffee? It’s about $75 for a one-pound bag, you can buy it on Amazon. This coffee is harvested at high altitudes (about 1500-2,000 feet). The beans make a rich, creamy, and well-rounded brew. You can purchase it in whole bean form or preground. This is the most affordable option of our favorites. You don’t have to worry that because of its $30 price tag that its not real Kona coffee because it is. This might be a better fit for the java lover that wants a treat but they’re not willing to invest nearly $100 to get a taste of Kona coffee. This brand is equipped with Hawaii’s seal on the package. It has a smooth flavor, and they also offer even more affordable options in smaller quantities ($17 for seven ounces of coffee). It’s considered to be a gourmet coffee. 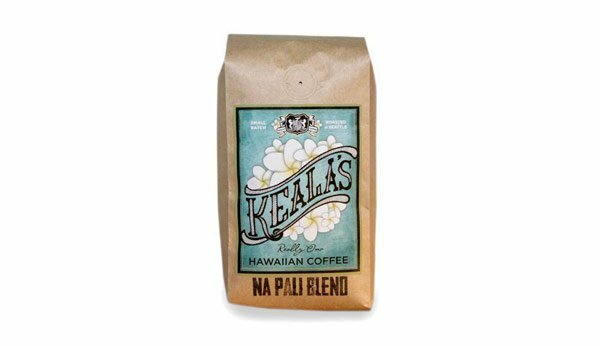 The founder of Keala’s Hawaiian Coffee has been born and raised in Hawaii. Keala’s Hawaiian Coffee is pure Kona, roasted by a Seattle company managed by Sean Lee, also the owner of Seven Coffee Roasters in Seattle. This 100% farm-direct Kona coffee is freshly-picked from the slopes of Holualoa on the Big Island of Hawaii. This Kona Coffee delivers a great flavor profile, lighter yet with a strong flavor where the fruit notes aren’t overpowered. 1.2.1 How is Kona coffee grown? 1.2.2 How are the beans harvested and processed? 1.2.3 How are different types of Kona beans classified? 1.2.4 How is Kona coffee sold? 1.2.5 What’s the best way to brew Kona coffee? How is Kona coffee grown? The first thing that makes Kona coffee different from its competitors is that it’s grown differently than the Latin American or African beans that you’re used to. How are the beans harvested and processed? The freshly picked Kona cherries can’t be left to rest for long at all if it has any hope of becoming delicious coffee. The cherries have to be run through a pulper within twenty-four hours. The beans will then be separated from the pulp that’s been created, and the beans will be set into a fermentation tank. The beans are usually fermented overnight but the time that its left to ferment can vary. If the fermentation process is done at a high altitude, then it needs to sit for a full twenty-four hours. However, if it’s done at a low altitude, then it needs to sit for about twelve hours. Once the fermentation process is complete, the beans are rinsed then spread out so that they can dry. The point of this process is to help the beans reach the optimal moisture level; The Hawaii Department of Agriculture says that the Kona coffee beans have to fall in between a 9.0-12.0% moisture level. The farmers have to be careful that the bean’s moisture levels aren’t too high because a dangerous mycotoxin, ochratoxin A, could develop and make the beans unsafe for people to consume. Once the drying process is all done, the Kona beans continue their journey to our cups. The farmers store the beans as a parchment that will eventually get milled off of the bean before its roasted. 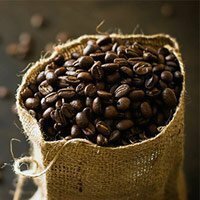 How are different types of Kona beans classified? Type One Beans: These beans are oval shaped on the side and flat on the other. They have two beans per cherry. 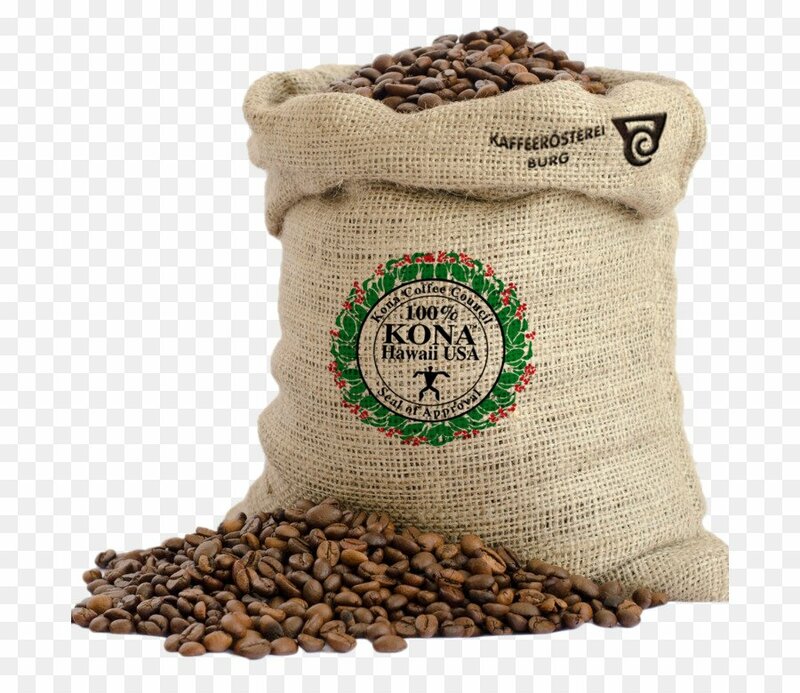 There are five grades of type one Kona beans: Kona Extra Fancy, Kona Fancy, Kona Number 1, Kona Select, and Kona Prime. Type Two Beans: Type Two Kona beans have one bean per cherry and they’re round. These beans have two grades, Peaberry Number 1 and Peaberry Prime. How is Kona coffee sold? Just like its harvesting process, selling Kona coffee is a bit complicated as well. Kona coffee is expensive and also hard to find in 100% purity. If you purchase a bag of Kona coffee beans that aren’t mixed with beans from other origins, it can get pretty pricey, it can cost as much as $75 per one pound bag. However, you don’t need to worry that you’ll never be able to try Kona coffee because of its price. Most retailers mix Kona coffee with another blend, which is referred to simply as Kona Blends. Some Kona blends can range anywhere from $12-$45 depending on how much you’re willing to invest in your coffee. 100% Authentic Kona coffee is certainly an investment for a coffee connoisseur, and you might be concerned about whether or not you’re even getting the real thing. 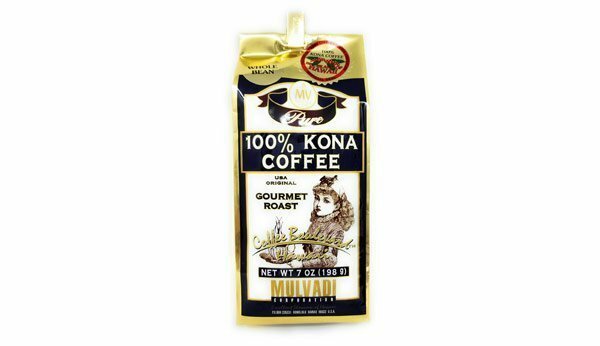 Hawaii’s state law demands that Kona coffee can’t be labeled as a 100% authentic Kona blend unless it has no beans from any other origins in the bag. In fact, Hawaii has a state-approved mark that will be visible on the bag to prevent retailers from being dishonest. What’s the best way to brew Kona coffee? If you’ve decided to go out and grab a bag of Kona coffee, then you’re going to want to look into the best way to brew it. There’s nothing worse than wasting perfectly good beans on a pour brewing method. While there are a few ways to brew these beans without compromising the flavor, there are a few things that you can do to take your Kona coffee blend to the next level. You’ll always want to start with whole bean Kona coffee if you can, but if you can’t, you’ll still be able to enjoy the coffee. Next, you’ll want to make sure that you’re brewing the Kona coffee at the ideal temperature. The Specialty Coffee Association recommends brewing your coffee in between 195 and 205 degrees Fahrenheit. If you’re using a French press, you’ll want to be sure that the water is good and hot. If you’re using a drip brewer, make sure that its able to get somewhere in between that temperature range. A French press is a good tool to use to brew Kona coffee since you’re trying to taste all of the subtleties of the expensive roast. You’ll find that a French press makes it easier to taste a wide range of flavor in the coffee since it almost always produces a heavier, full-bodied coffee. Lastly, using bottled or filtered water will definitely help your Kona coffee perform. Simply put, if your water doesn’t taste very good when you take a sip of it before it even goes into the best coffee maker, then it probably won’t taste too great when you drink it in coffee form. If you enjoyed reading about the complex harvesting process that Kona coffee goes through and you’re dying to get your own bag, you’ll want to keep an eye out for the Hawaii state seal on all 100% Kona blends. It’s a unique bean that creates an irresistible blend, and you’ll want to be sure to grab a bag if you’re planning a trip to the Big Island anytime soon. Aloha! https://www.ncbi.nlm.nih.gov/pmc/articles/PMC4247821/ – Ochratoxin A and human health risk.